Around 30 people came to learn first hand from expert Danielle Ray of the NWI Beekeepers Association how to get started and what tools to use for backyard beekeeping. 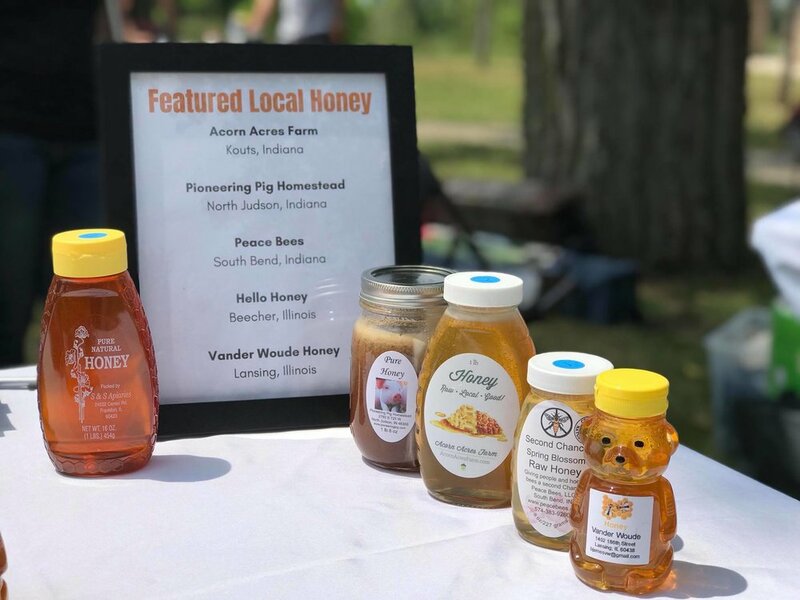 Guests got to taste honey from various local farms and apiaries including: Acorn Acres Farm, Pioneering Pig Farm, Vander Woude Honey, Second Chance Farm, and S & S Apiary. We’d like to extend a special thanks to our partners, Gary Hives and the Gary Food Council! We are pleased to announce that a stunning photo taken during our 2017 FarmHop by Christopher Pupillo is a finalist in the Oak Heritage Conservancy photo contest! 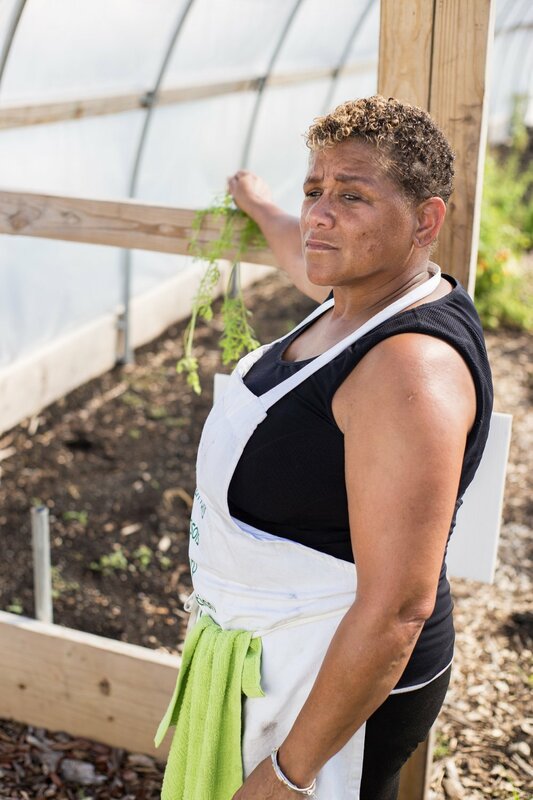 💚 📷 😊 Chris captured the amazing strength and fortitude of Freida Graves from Faith Farms. 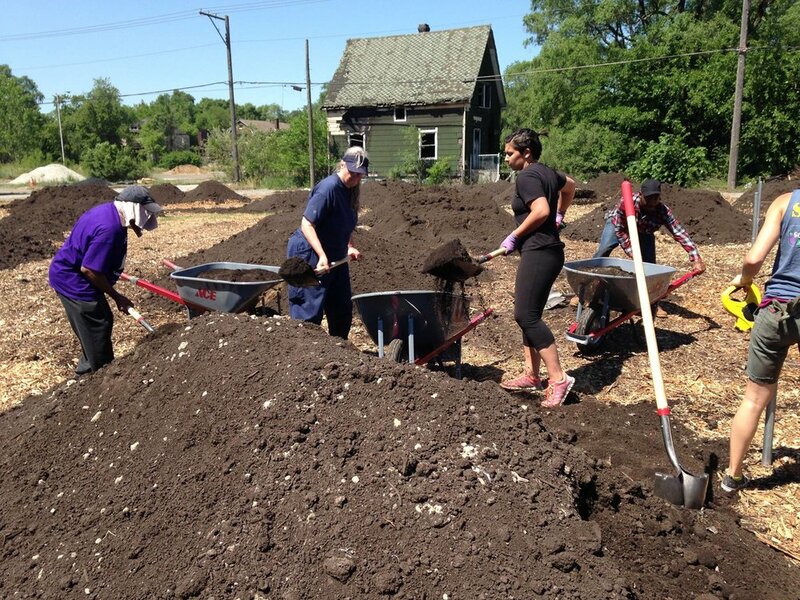 Last week, NWI Food Council board members and volunteers joined dozens of other volunteers in constructing hoop houses and garden beds at Gary's Faith Farms, next to Progressive Community Church. The project was organized by the church along with Faith CDC. 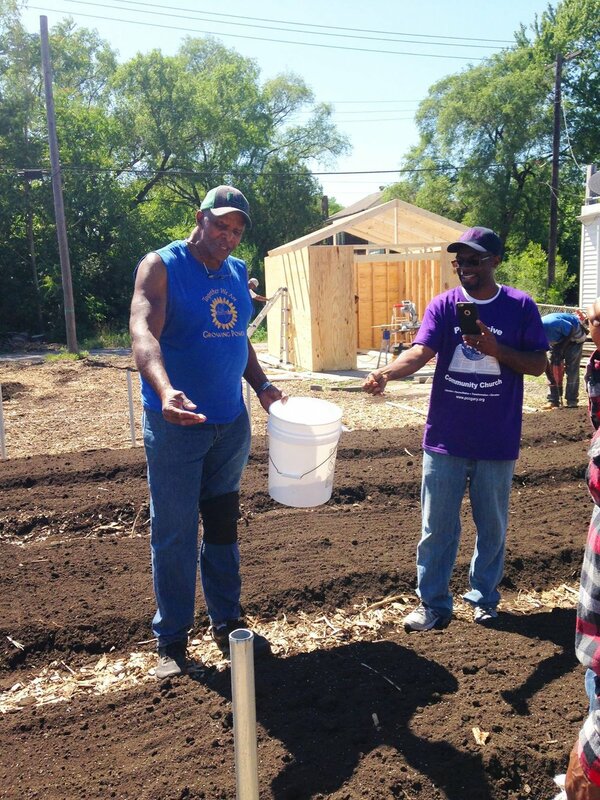 They brought in Will Allen, the grandfather of urban farming, and his organization, Growing Power, to lead the work. 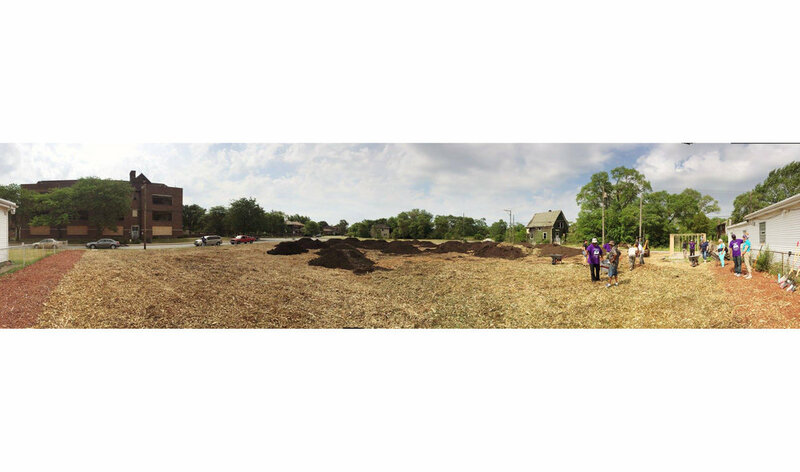 The hoop houses will allow year-round growing for their Faith Farms. Keep an eye on this area, friends. Amazing ideas are growing here! Meeting Will Allen was a highlight for all of the volunteers. He's pictured here with Council Board President Sarah Highlen. Two of our very own, Nicole Negowetti (L) and Dominique Edwards (R), had the opportunity to present at Harvard last week as part of the Just Food Forum on Land Use, Rights and Ecology. Their presentation, "Revitalizing Deindustrialized Cities with Urban Agriculture," explained how we can inform the development of urban agriculture initiatives in post-industrial cities (specifically observing Gary, Indiana). 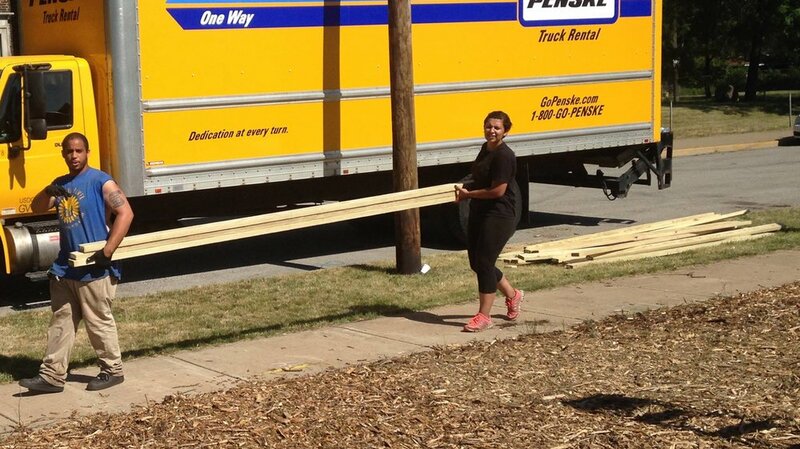 We are very proud to have such accomplished women on our team!